UK director Shaun Troke is busily creating his latest horror venture, which has yet to be titled. Horror aficionados might recognize Troke from his previous production Sparrow. A trailer for Sparrow is available here: Sparrow Trailer. 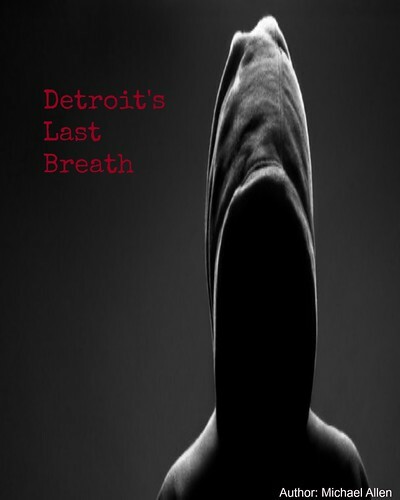 This latest venture puts several film documenters in a haunted cabin for supernatural thrills. The conflicted love triangle adds to the fun. A trailer is now available for this feature and the clip shows the independent charm of the piece. Have a look inside, until further details develop. 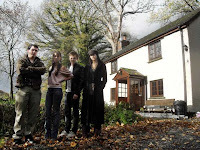 "A filmmaker, his girlfriend, his female colleague, and their rich producer are to spend a weekend making a documentary within an isolated haunted cottage in Wales. While a developing love-triangle creates tension between the foursome, they soon have to begin fighting for their survival against the dangerous supernatural forces inside the cottage…" (Troke). Writer: Shaun Troke and Steven Jarrett. Cast: Shaun Troke, Nikki Harrup, Leonora Moore, and Danny Goldberg.